Want to hear some good jazz in a beautiful setting for just a $5 cover charge? Head on over to Dizzy’s Club Coca-Cola at the Lincoln Center Jazz venue for a Tuesday or Wednesday late night session. Dizzy’s Club has large windows with great views looking out over central park and the Manhattan skyline. 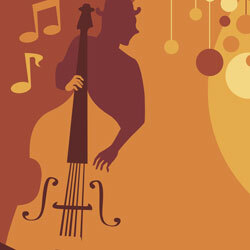 Enjoy the lights of New York City while you enjoy live music performed by talented up-and-coming jazz musicians. Late night sessions start at 11:30 pm. No reservations are necessary. Tuesdays and Wednesdays are a great deal with $5 cover charge. There are also late night sessions on Thursday, Friday, and Saturday, but the cover charge is higher. $10 on Thursday and Friday, and $20 on Saturday. Student cover charge is $10 Tuesday – Friday, and $10 on Saturdays. Dizzy’s Club Coca-Cola is located in the Time Warner Center at Broadway and 60th Street at Columbus Circle. Read reviews of Dizzy’s Jazz Club at TripAdvisor. For more ways to have fun in NYC without spending a lot of money, visit our list of Free Things to Do in New York City. 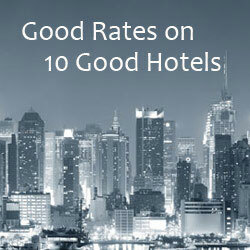 Subscribe to the NYC Cheap Travel Newsletter and stay up-to-date on the latest NYC deals and money-saving travel information. 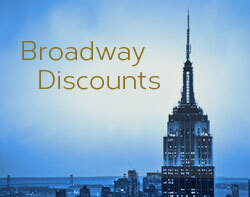 Broadway Shows Discount List – Multiple discount offers for current shows, all in one place.